The security perimeter once familiar to the enterprise has become incredibly fragmented. Data and applications reside everywhere: on the network, endpoints and in the cloud. The cloud, in particular, is seeing huge growth with enterprises adopting these environments at a rapid pace. According to Gartner, 55 percent of large enterprises will successfully implement an all-in cloud SaaS strategy by 2025. 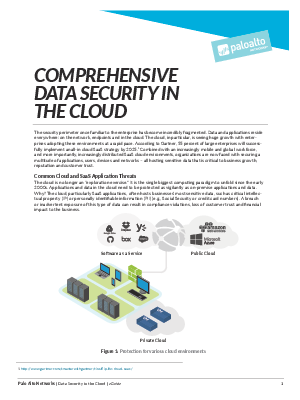 Combined with an increasingly mobile and global workforce, and more importantly, increasingly distributed SaaS cloud environments, organizations are now faced with securing a multitude of applications, users, devices and networks – all hosting sensitive data that is critical to business growth, reputation and customer trust.